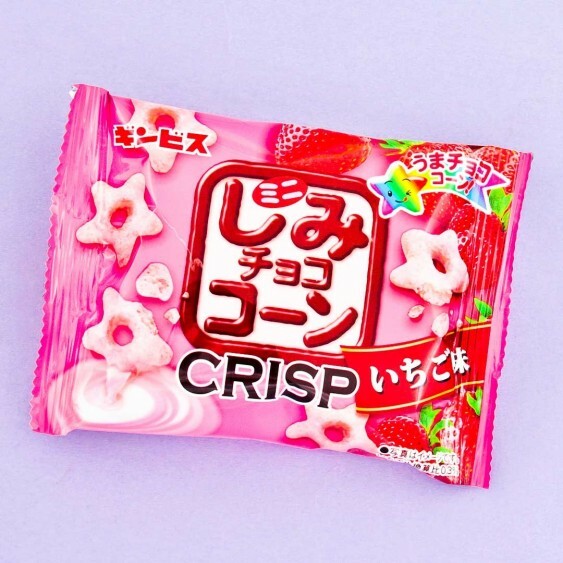 Ginbis Shimi Strawberry Corn Stars are a popular puffy and sweet snack from Japan! 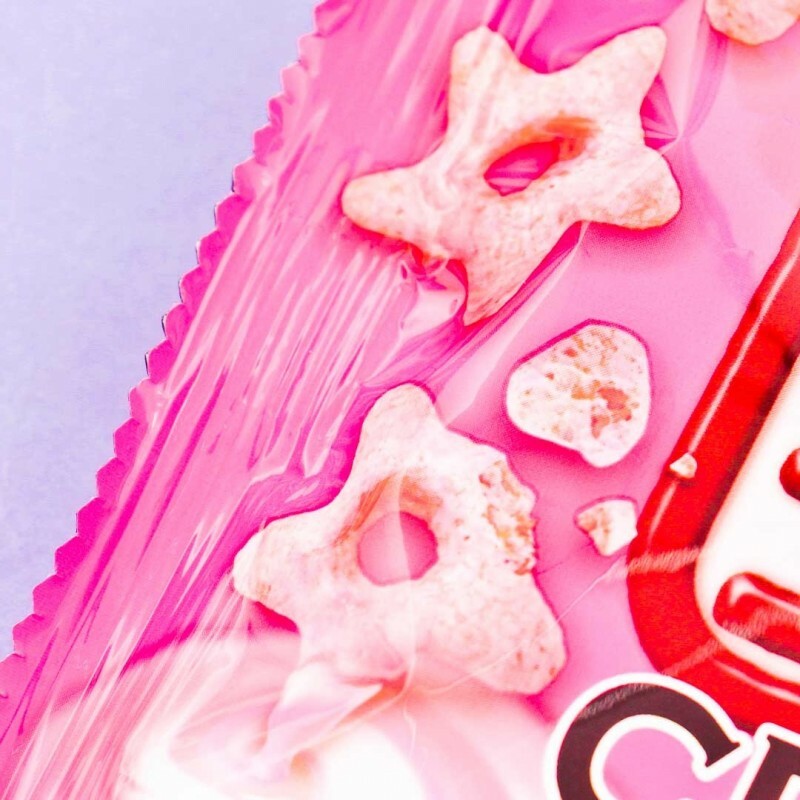 They are cute star-shaped corn yummies covered with delicious strawberry chocolate and they are the perfect size for snacking! These snacks are so nice and crunchy in your mouth! Smells wonderful - tastes even better.